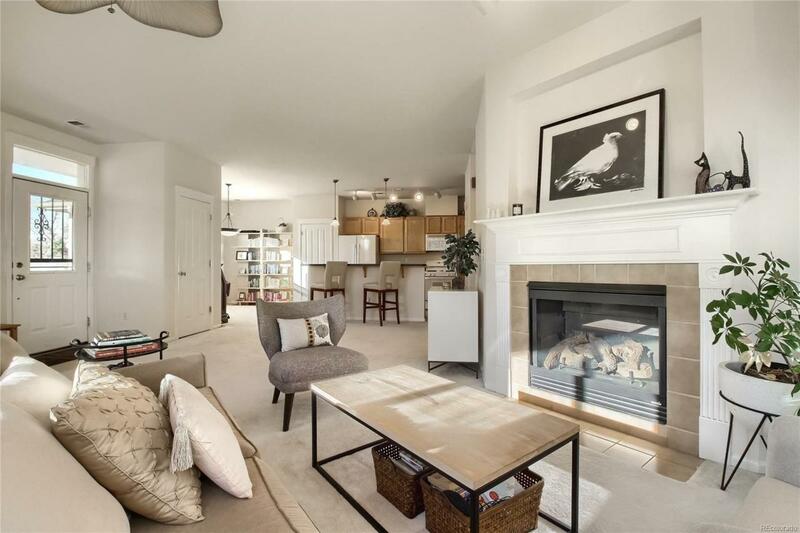 Nestled just two blocks Southwest from Sloans Lake, this Edgewater condo is this seasons market steal! If you are too busy living your life to the fullest to slow down for yard work, we have the home for you! New Interior & Exterior Paint! New Roof! Enjoy a completely maintenance free exterior! Relax in the open floor plan or entertain guests on your sunny trex deck. The spacious kitchen w/ island bar & a cozy fireplace create a space prime for fun w/ family & friends. The master includes a large closet, double vanity, & a tub shower. New water heater (2018), new furnace (2019), newer fridge (2017). New roof and paint (2018). The garage holds plenty of gear for all of your adventures. Walk to shops & dining along Sheridan facing beautiful Sloans Lake. Catch a movie at the new Alamo Draft House, or sip a cup of coffee at the nearby Starbucks. Walk, run or ride around the 2.5-mile lake w/ stunning views of Downtown Denver. Will make a great investment or home!